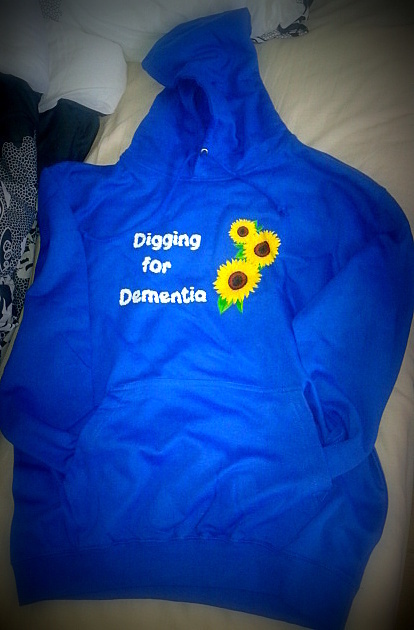 It’s been busy, busy, busy at Digging for Dementia HQ this week! Now that the project has a plot of land, it’s all systems go, researching companion planting for our lovely organic land; ticking lots of insurance and health and safety boxes (exciting, I know); planning a fundraising cake sale with the wonderful Jam Jar Bakes, and receiving lots of snazzy Digging for Dementia goodies in the post. If you are a fellow small-scale project leader in need of promotional materials, I wholeheartedly recommend exploring eBay. I obtained promotional items for around a quarter of the prices quoted elsewhere, and every saving is significant when you’re establishing a community project like Digging for Dementia! Everything is falling beautifully into place for Digging for Dementia, and the project has received so much support and love, both in cyberspace and in real life. 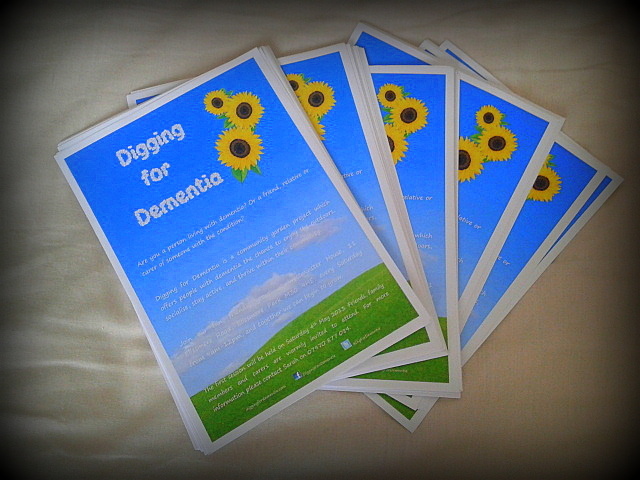 I’m very excited about the future of Digging for Dementia, and I hope you’ll all stay tuned to see the project grow!